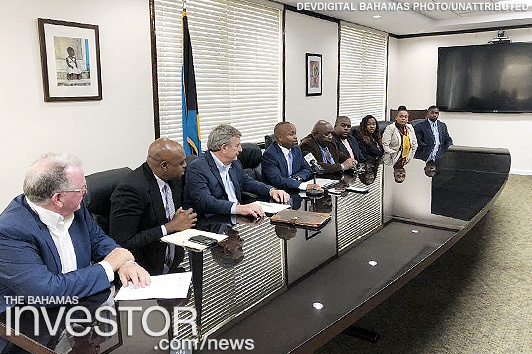 DevDigital, a software and web development company based in Nashville, TN, has announced that it has launched operations in the Commonwealth of The Bahamas, and will be headquartered in Freeport on Grand Bahama Island. Offices in Nassau and Freeport will service US-based and regional clients. NASHVILLE, Tenn.–(BUSINESS WIRE)–DevDigital, a leading software and web development company based in Nashville, TN, is pleased to announce that it has launched operations in the Commonwealth of The Bahamas, and will be headquartered in Freeport on Grand Bahama Island. Offices in both Nassau and Freeport will service both US-based and regional clients. DevDigital Bahamas is looking forward to bringing its innovative software solutions to the Caribbean and has already signed clients, including Global Sun Integration and CaribNation. With the establishment of a tech hub in Freeport, DevDigital, under the guidance of Co-Founder Peter Marcum, Burton Rodgers, Hank Ferguson, and Alan Kates, is pleased to join the Government’s initiative to create and foster the growth of jobs, education and entrepreneurial opportunities, both in Freeport and The Bahamas in general. For more information on the company, please visit devdigitalbahamas.com. Prime Minister Dr Hubert Minnis and his delegation met with Stephen Quest, Director General of the Directorate Generale for Taxation and Customs Union of the European Commission, and senior members of his team January 15, 2019, in Brussels. Consolidated Water Bahamas Ltd, a subsidiary of Consolidated Water Co. Ltd. (Nasdaq: CWCO), and a developer and operator of seawater desalination plants, has announced changes to its Board of Directors.